The Original Playcenter is the definition of a complete activity center. This swing set has it all and now comes with Monkey Bars! From the rockwall to the step/rung entry ladder to the 360° tire swing, your children will be entertained for hours. 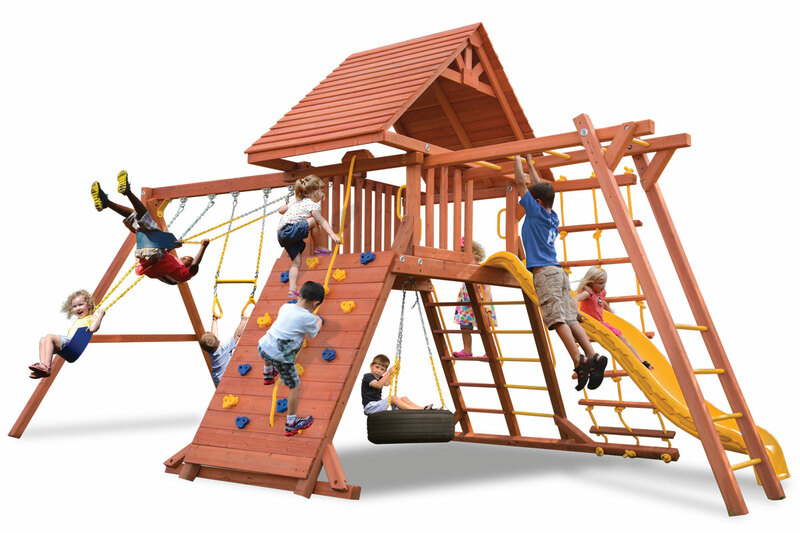 Made from super sturdy cedar construction, the Original Play Center is the perfect choice for the value minded family who demands the best!